Computer-based testing is an increasingly popular assessment option at many stages of education—classroom exams, state tests, and high-stakes assessments at both the graduate and undergraduate level. 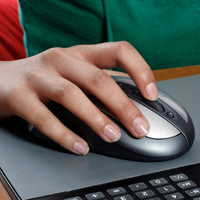 Even the ACT and SAT will launch digital exams in 2015 and 2016, respectively. This is some great information on the future of technology in education. Instead of simply asking students to answer a multiple-choice problem correctly, certain computer-based formats challenge students to think more deeply about each question. For example, the ACT will require its test-takers to perform virtual tasks. These tasks may include such actions as pouring liquids of different densities into beakers. Here is more information on the ACT offering a computer based test that may interest you as well. Dynamic problems require a higher level of engagement with exam material, as they prompt students to consider the question from multiple angles before arriving at a response. Such questions reflect the higher-order cognitive processes that college students must utilize in order to succeed in their classes. However, it is worth noting that these interactive problems are very new. Students who sit for tests like the revised ACT and SAT will effectively serve as experimental subjects—their question data will assist exam creators in refining the model for future versions of the test. The efficiency of computer-based testing benefits administrators, score recipients, and students. For students, this format often involves the release of automatic results at its conclusion. Computer-adaptive tests, such as the GRE, are also designed to more accurately pinpoint a student’s precise abilities and knowledge within a given subject. Computer-adaptive exams decrease or increase in difficulty based upon previously recorded answers. For example, if a student correctly responds to a problem, the next question is more challenging. Relatedly, if a student answers a question incorrectly, the problems that follow are simpler. Your final score reflects both the difficulty and the number of questions you answered correctly—not just how many of your answers are right. Such tests are certainly complex, both in design and in technique. Students must learn to strategically pace themselves and to prepare mentally for the escalating difficulty of a section’s questions. Students must also acknowledge the likelihood of score swings. For example, if you were to complete a second computer-adaptive exam the very next day, your result might be significantly higher or lower. It is thus absolutely critical to fully understand the content and the scoring algorithms that each test involves, which may lead to a longer prep period. To excel in an era of computer-based testing, students must be familiar with current technology. A number of colleges and universities, as well as professional work environments, require this ability. However, computers can be prone to error, and a significant percentage of students may need to learn basic computer skills before sitting for these exams. This is some great information on digital learning tools that you may find helpful as well. A test-taker who is proficient in typing and utilizing a digital calculator has a major advantage (especially on sections involving essay composition and math) over a student who must hunt for the correct function or letter. University of North Texas, Bachelor in Arts, International Relations.